Logins this hour: 13630 ? We're excited to offer a free Amion mobile app! It's available for Apple and Android devices. Over 70,000 people have downloaded the app since its release a couple years ago. 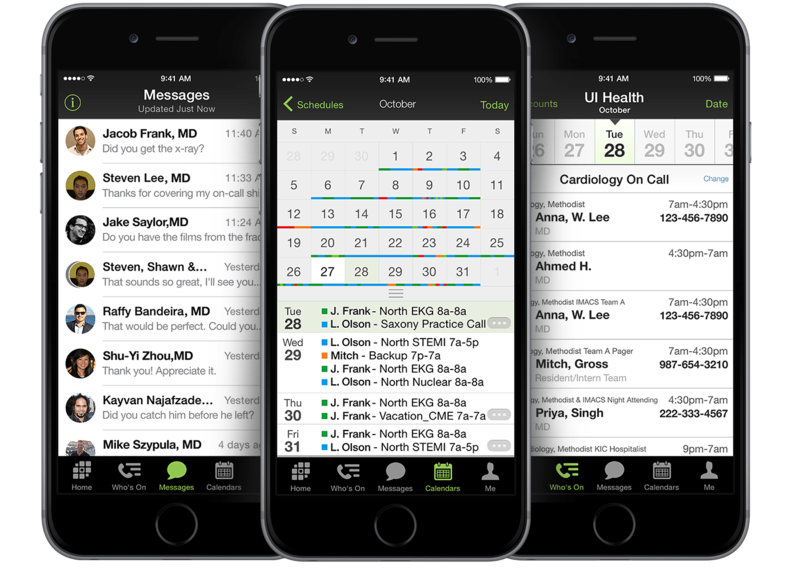 The app doesn't replicate every feature at Amion but it provides a quick, convenient way to view schedules. The latest version adds secure texting and easy navigation to other schedules at your hospital. We've developed the app in partnership with Doximity. Doximity is headed by one of the original founders of Epocrates. We've enjoyed working with the Doximity team and hope you do, too. When you first install the app, it asks you to register. Doximity is handling the verifications. You can run the app anonymously but you won't be able to use all the features. To facilitate communication and keep paging secure, for example, we need to know who's sending messages. You don't need to be a physician to verify but you must get verified to send pages from the app. We expect you'll find the Amion app and other Doximity offerings valuable additions to your suite of mobile tools. We'll be releasing updates regularly with new features and other improvements. We value any feedback you might have on how we can make the app better meet your needs.